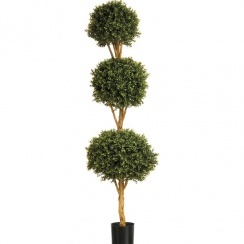 Topiary trees and spiky plants, perfect for adding outdoor interest. 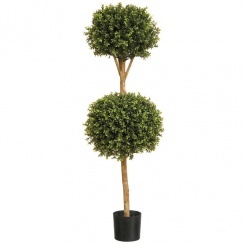 If you are dressing a doorway we have a variety of faux Buxus spirals, balls and towers. 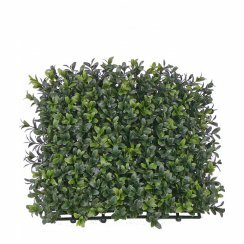 Buxus Mat for creating your own artificial hedges. 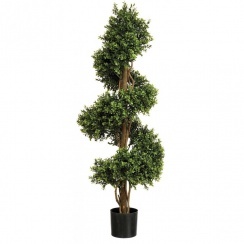 Not every artificial plant or artificial tree is suitable for outdoor use, in this section we have a range of artificial plants and trees that will live outdoor alongside real plants. 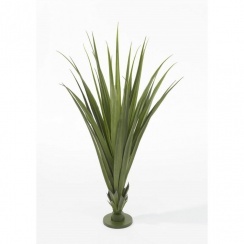 The exotic Pandanus plants are perfect for adding year round interest to Pub Gardens, Patios, Decking Areas and Roof Gardens. 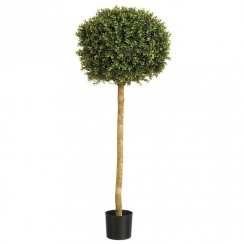 Our artificial Topiary Plants including Spirals, Balls and Cones are often used in pairs for dressing a building entrance or doorway. 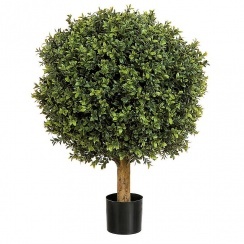 All our artificial outdoor plants are constructed using strong weather resistant materials, the Topiary Plants are also UV protected. Please note our items do not come with a guarantee. 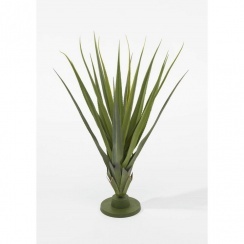 As with all outdoor furniture, common sense should be used with our artificial outdoor plant range. We always recommend if the weather is bad, especially windy, the plants should be brought inside to prolong there outdoor use and protect them from being damaged. We recommend you keep them away from direct sunlight or in a sheltered, ventilated area which allows them to dry out if they get wet. No green fingers are required, no maintenance and no watering, just great impact plants.